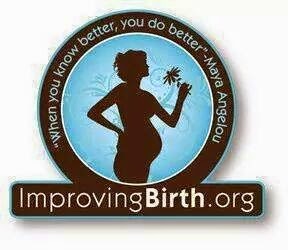 ImprovingBirth.org is an organization I stand behind because they are working toward improving the standard of maternity care. So many women are not receiving appropriate care. Artificial inductions, acceleration of labor and surgical births are dramatically increasing, which increases the risks of harm to both mother and babe. Not to mention the "rules" that obstetricians and their nurses enforce during labor, like not being able to eat and not being able to move around. Families deserve to have respect about how they feel comfortable birthing and feeling fully informed about the risks that routine maternity care procedures may cause. The symbol representing this cause has a pregnant woman holding a flower with a quote by Maya Angelou, "When you know better, you do better." The more information I've learned about parenting choices especially, has allowed me to do better things for my whole family. "It’s about women being capable of making safer, more informed decisions about their care and that of their babies, when they are given full and accurate information about their care options, including the potential harms, benefits, and alternatives. It’s aboutrespect for women and their decisions in childbirth, including how, where, and with whom they give birth; and the right to be treated with dignity and compassion." The rally site (http://rallytoimprovebirth.com/) states. This year, the third annual rally on Labor Day was held simutaneously, in over 100 cities across the globe. My nearest location was held at Mercer Park in Iowa City. I was anxious to be part of the rally, since it was my first year and excited to find out more about the organization and it's supporters. ImprovingBirth.org really took the time to unite the community with this event. There were many perks for those attending. 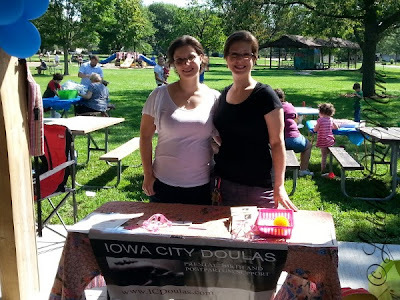 Many sponsors, including Corridor Birth Alliance, Friends of Iowa Midwives, Iowa City Doulas, Iowa City Babywearers, Johnson County Public Health & WIC, Babytime, Lactation Counselor Rachel Starchman, Niabi Zoo, Iowa Children's Museum, Always Lavender Thyme, It Works, Jamberry Nails and many others participated. There was a raffle to win tickets and baskets and free sessions with some of the sponsors. Also a bag full of informative flyers, coupons and samples was handed out to the first fifty attendees. 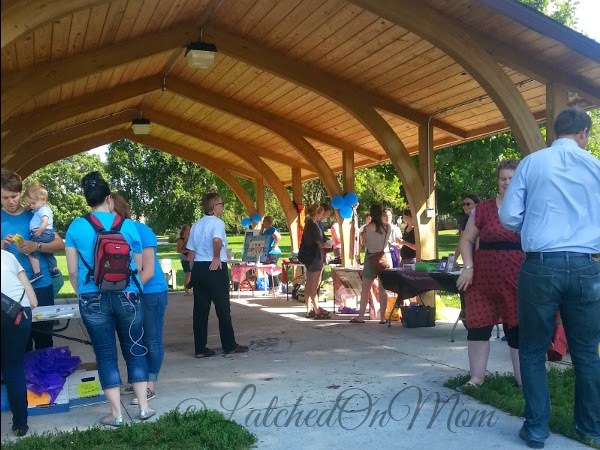 This event involved the entire family, with a playground and games and bubbles for the kids. It was so nice having the sponsors/other organizations and businesses there, bringing our community together and supporting this very important cause. 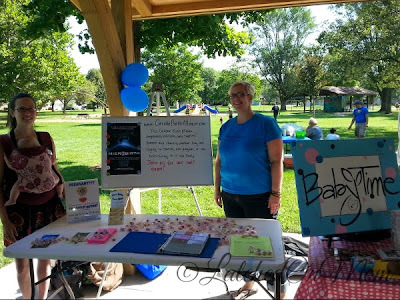 If you are interested in finding out more or helping with this cause by hosting a rally in your area, sponsoring or just advocating you can visit www.ImprovingBirth.org! Did you participate in the rally this year? Comment where!